Fitness und Entspannung mit Virtual Reality geht das? Ja! Wir wollen das erste Fitness-Studio in der Schweiz in Basel eröffnen. Fitness, Yoga und Entspannung in einer ganz neuen Dimension. Do you want to experience a fitness class at your own time, your own schedule and even without a real-life instructor ? How about meditation and relaxation via the latest experiences Virtual Reality has to offer? When we (Petros and Nicholas) became fathers we experienced first hand the impact this had on our fitness routines. For our wives this was even more profound! That’s when we came up with Hoolio.com, an online fitness platform for home workouts. The technology we built allowed us to transform the home workout into a fun, social and measurable experience for our users. Over 10,000 users have already invited hoolio.com into their homes. This time we want to invite you into our home, the Active LAB. In the Active LAB you will experience a unique blend of fitness and technology. A purposed designed, simple to use, fitness and meditation studio. 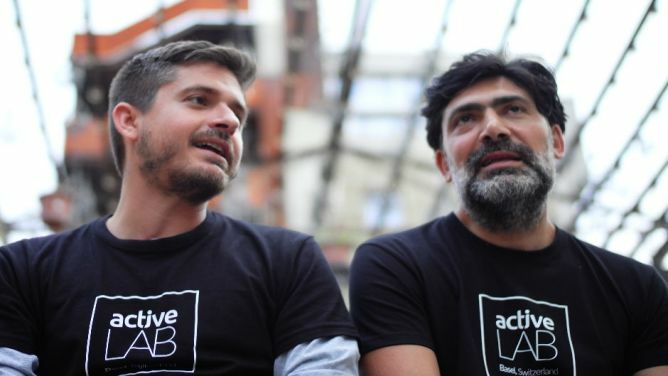 Offering video instructed group workouts and private VR led meditation sessions, The Active LAB provides a unique wellness and recreational fix. Active Lab is the fitness and meditation solution for the generation of people that embrace new technologies that can enhance a healthy and balanced lifestyle. This technology allows us to have a seamless workout and meditation experience in the Active LAB, or even at home via the Active LAB app. 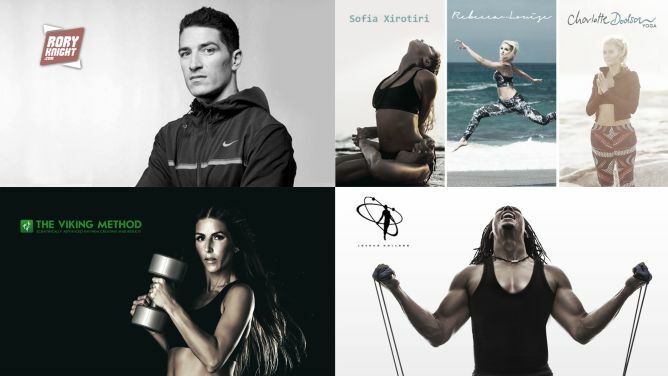 The Active LAB will be the first «future tech» fitness studio in Switzerland and will be located in Basel. With it’s modular approach Active LAB is designed out of portable workout and meditation stations, that can be easily popped up to any place in the city making it suitable for events. Our vision is to expand this into other cities in order to connect people in a new and active way. This is what I need backing for. Only with your support the Active LAB will become a reality. We have put in an enormous amount of work to build the technology for the Active LAB. On our journey we have partnered with the best fitness companies, like Technogym, and created video workouts for you with top trainers from around the world. 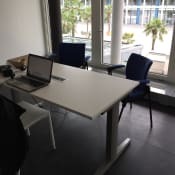 Today, we need 60.000 CHF to equip the Active LAB, pay part of the rent, get more content and customize our technology. As a founding member, with the Active LAB you can always choose from a big selection of workout programs, or join the Active LABs group classes available anytime and from anywhere. In winter 2017 you will also be able to walk in the first Active LAB in Basel,and join your classmates in the group class. Supporting us will also allow us to equip the Active Lab with the latest VR technology has to offer (Oculus, Vive and some surprises too) and transport you to new relaxation and meditation worlds. From serene beaches to tropical forests with an immersive audio experience. Join us and be part of the Active Lab by supporting us on this campaign! Questo progetto si è concluso il 29.6.2017 10:00, purtroppo senza successo. A warm thank you. You get hoolio-premium subscription for one year. Fitness at home is waiting for you. A bit more fitness to try? A very warm thank you. In order to make sure that you are in top shape until the opening of the Active LAB in November, you get a yearly subscription on www.hoolio.com plus two FREE daily passes to check out the Active LAB in person. A very big and warm thank you. Looks like you are ready to test this totally cool way of working out! For you enthusiasm and support your get a 4 month Active Lab pass plus a yearly subscription on our online fitness platform www.hoolio.com. How about a Yoga Mat? A thank you from the bottom of our heart. You get six months subscription in the Active LAB and a top quality Airex Yoga Mat. hoolio-premium subscription for one year comes with the package, to warm up until the Active LAB is here. Or maybe a wellness ball? A giant thank you for your support. In return you get a yearly subscription in the Active LAB, 3 hours of personal training and a Technogym wellness ball. hoolio-premium subscription for one year comes with the package, to warm up until the Active LAB is here. Whether you want to amaze your friends on a party or have an escape corner at home, you can try this one. You get the chance to finance an activeLAB’s VR meditation station and have it complete popped up at your home for a week. Occulus+station, SW, Meditation Chair, instructions +bonus apps. A huge thank you for your support. You will get a yearly subscription in the Active LAB a Technogym wellness ball, an Airex Yoga Mat and 5 hours of personal training. hoolio-premium subscription for one year comes with the package, to warm up until the Active LAB is here. We thank you now, you will thank us after this experience. Inclusive a flight to London, you take part in the always sold out black light, sky high, late night Viking Training with Svava Sigbertsdottir from Iceland. Company event? You get an Active LAB, serviced popped up right where you want it. 2 meditation stations, plus 2 fully equipped workout stations. You company get a yearly subscriptions for 15 employees inclusive three hour personal training in the active LAB and the Hoolio-App for maximum 50 employees. Do you fancy a private Active LAB at your basement at home? or an Active LAB at your SME's offices only for your employees? We can definitely make it happen. The necessary VR-Gadgets, Screens, Airex yoga mats, Technogym wellness balls, Bluetooth Heart Rate Monitors are inclusive. Desidero solamente sostenere il progetto.